Normally I prefer to have reasonably OK photos on this blog. Today’s photos are less than perfect, but they represent something I am so pleased to have seen. 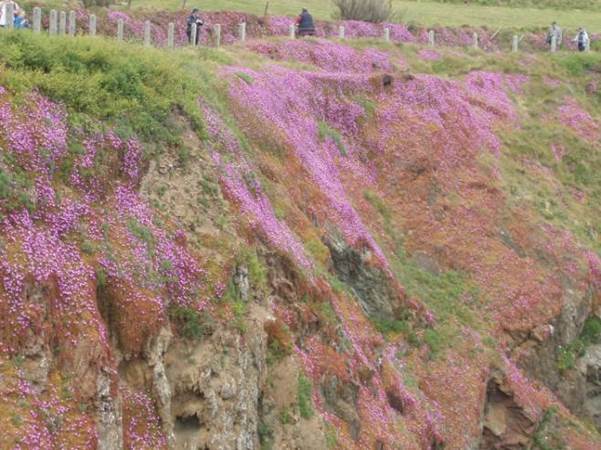 When we visited Botallack recently I had no idea that choughs might be on the agenda. 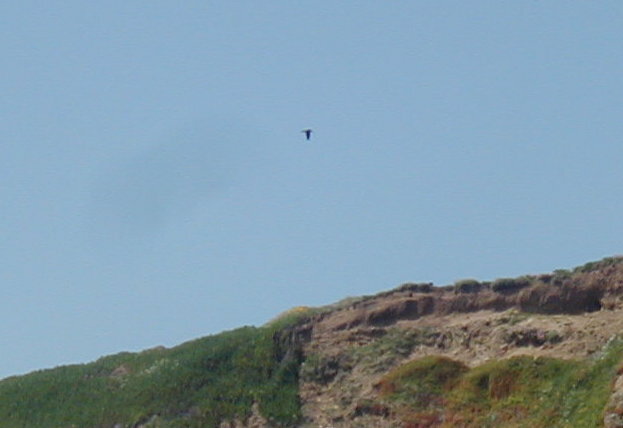 I knew they were on the opposite coast, around The Lizard and that these Cornish choughs were the only ones in England. Now hang on a mo. I’ve jumped off the deep end without explaining my main characters. 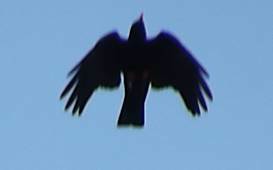 Choughs are birds. They are members of the crow family and like quite a lot of that family they are largely black. 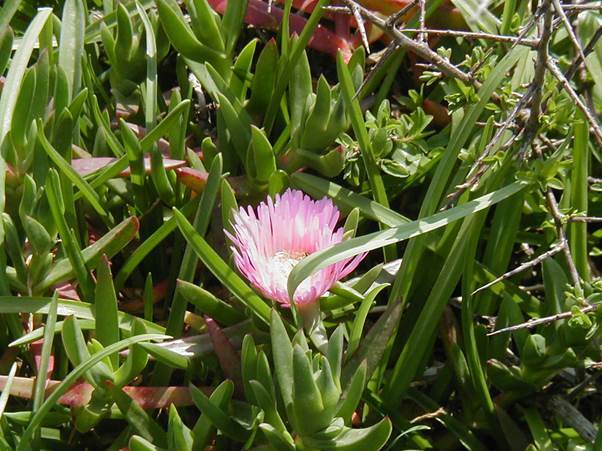 They have bright red beaks and legs and they like the wild coastlands of the west. I was careful to say the Cornwall choughs are the only ones in England for I believe there are colonies in Wales and other areas of the UK. Anyway, on arrival at Botallack we were greeted by a notice which entreated us not to disturb the choughs. Almost immediately afterwards we came across a group of people with scopes and binoculars. Clearly they were birders. 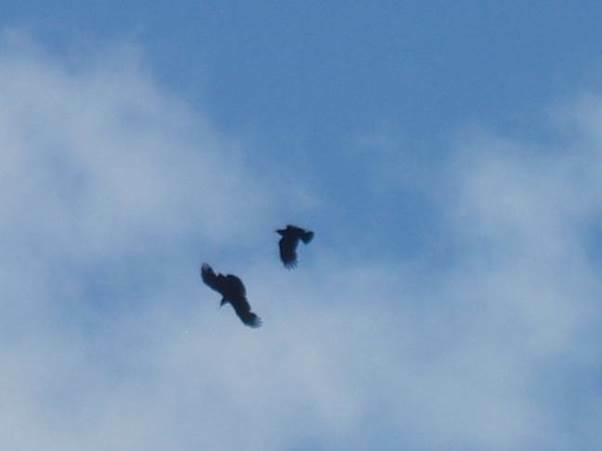 ‘Are there choughs about today?’ I asked them. ‘Yes!’ came the reply. ‘There are the two adults with six youngsters. We saw them fly by just a few minutes ago’. 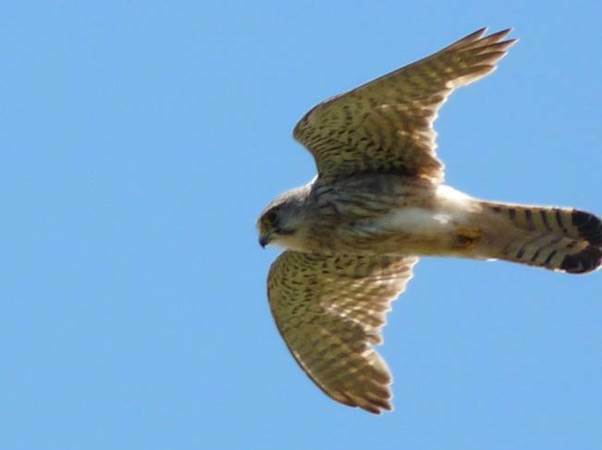 So of course, apart from looking at mine engines we kept our eyes peeled for these delightful birds. And sure enough, before we reached the engine houses, one flew over. My photo is utterly poor but here it is. 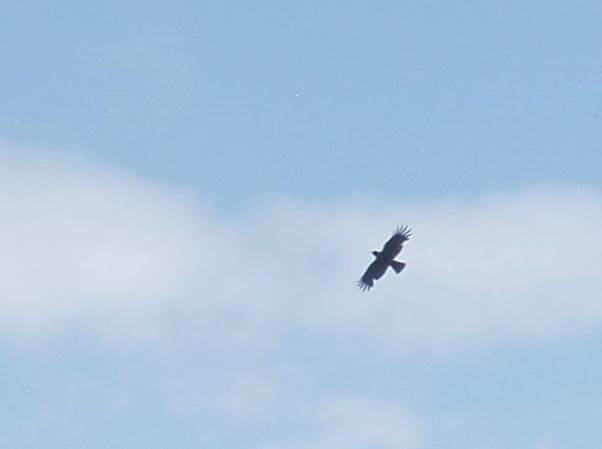 Yes, it’s blurred but you can see the distinctive fingers at the ends of the wings and just make out the red bill. Now for many, that wouldn’t be anything to get excited about, but it certainly pleased me. We continued a walk in the area, and then got our picnic to enjoy in glorious surroundings and fantastic weather. I got my scope out – not that it would have been any good for seeing the fast flying and aerobatic choughs, but I enjoyed watching the gannets which tend to follow much more predictable courses. Our bit of luck came as we were packing away. 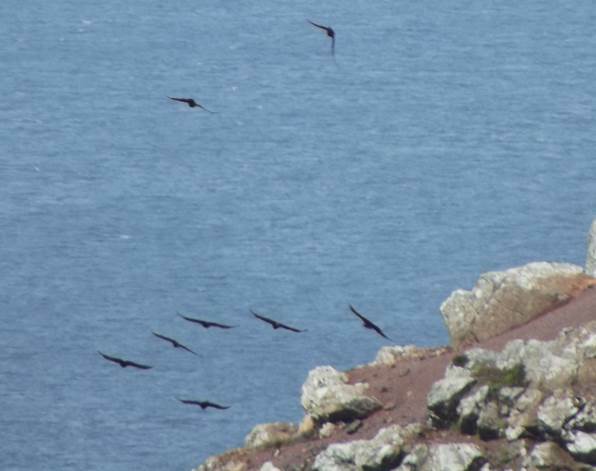 All eight choughs appeared over the headland. This could be something like a quarter of the England population. It’s a magical sight for me.